The new Cobra 290R crusher is set to impress. It provides the perfect solution for on-site recycling in urban areas and can be easily transported from job to job. 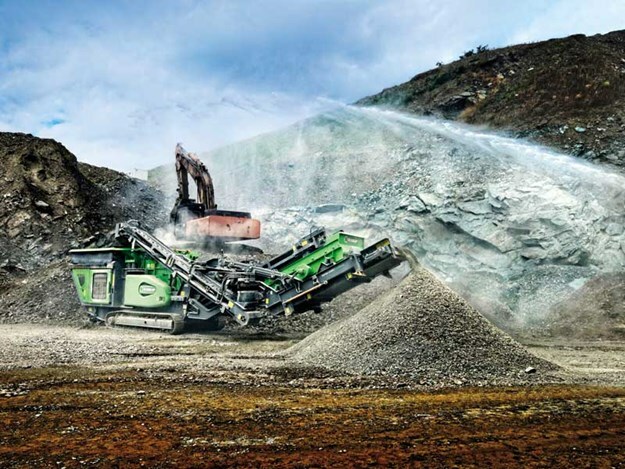 EvoQuip launched the Cobra 290R crusher at the recent 2018 Hillhead Exhibition in the UK. The compact impact crusher—built on the success of the Cobra 230—provides the perfect solution for on-site recycling in urban areas and is easily transported from job to job. Ready to crush in minutes as a result of ground level set-up and intuitive two-button start-up sequence, the Cobra 290R is versatile and easy to use and can operate in the most demanding of applications, including reinforced concrete, recycled asphalt, construction and demolition waste, coal and natural rock. The Cobra 290R has been working in a limestone application at Trotters Quarry in Ireland. Richard Trotter, managing director, says, "The Cobra 290R really has surpassed expectations. Don’t be deceived by size as while the machine itself is compact in size, it punches way above its weight and I was really impressed with output." With throughput potential of up to 290tph (320 US tph) depending on feed material and apron setting, the Cobra 290R uses a 315hp Volvo Engine to power the fuel-efficient and high-performing direct drive system and according to the manufacturers have established itself as a force to be reckoned with in the compact crushing sector. At the heart of the Cobra 290R is the Terex CR055 Impact Crusher with a rotor size of 1000mm (40") x 1034mm (41.5"). This impactor has been developed using components and technology from some of the company’s larger impactors within the Terex range. Fitted as standard is a hinged inlet lid, which greatly reduces the risk of material bridging at the feed in point. 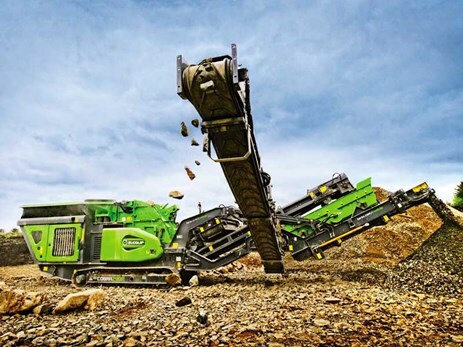 Like the Cobra 230 crusher, the Cobra 290R also has two independent hydraulic controlled aprons, which allow the operator to optimise the material throughput and reduction. The patented hydraulic overload protection system used not only protects the crusher in the event of an uncrushable piece entering the chamber but it also minimises apron bounce and reduces the amount of oversize material passing. The tip speed of the rotor can be varied depending on the application and product requirements. Throughout the crushing process, the Cobra 290R constantly monitors the engine load and automatically regulates the feeder speed as required. Below the impact crusher, the customer can choose between the full-length conveyor design and the vibrating underpan feeder, which offers complete belt protection in heavy-duty recycling applications. The manufacturers say that excellent clearance from the rotor to the belt, the short distance from the crusher outlet to the magnet, and the ability to hydraulically raise and lower the conveyor, all ensure optimal material flow through the machine. The Cobra 290R was designed with the operator in mind in terms of ease of use and serviceability with ground level access to the engine, hydraulics, service, and refuelling points. 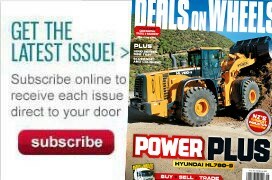 This is further enhanced with features such as the hinged radiator pack, hinged diesel tank, and product conveyor that can be removed quickly for major maintenance. In addition, the operator has the ability to move the machine using the remote control from the excavator cab. This can be done without shutting down the crusher. There’s an option for a single deck afterscreen system. This incorporates an aggressive 2.74m x 1.5m (9’ x 5’) screen, which provides the customer with a sized end product. The ability to swiftly detach the complete afterscreen system, including the oversize conveyor, provides the customer the option of running the machine in standard mode or to transport it separately. It’s possible to purchase and retrofit this option at a later date. For more information, contact Andy 0274 939 098 or Dan 0272 255 838 at Mobile Screening & Crushing (NZ).